Styled with harrison shirt . 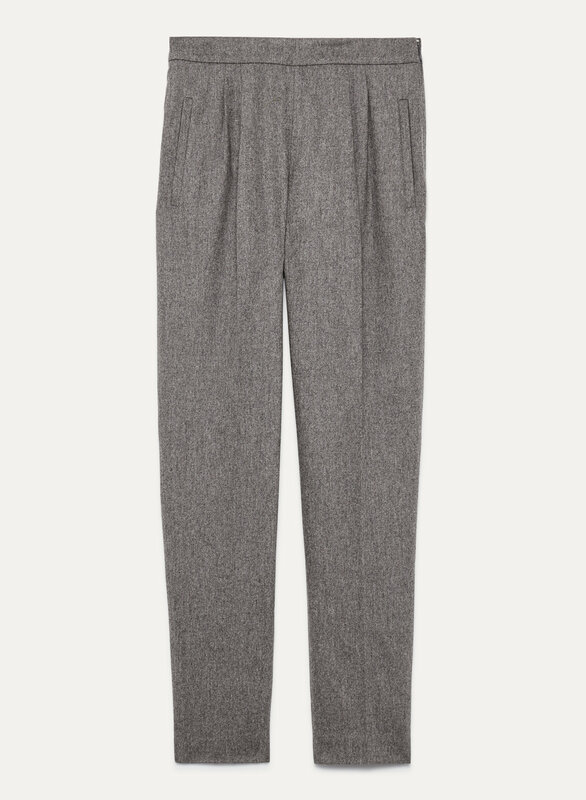 With crisp tailoring and a slim fit, the Edwin pant alludes to classic menswear style. 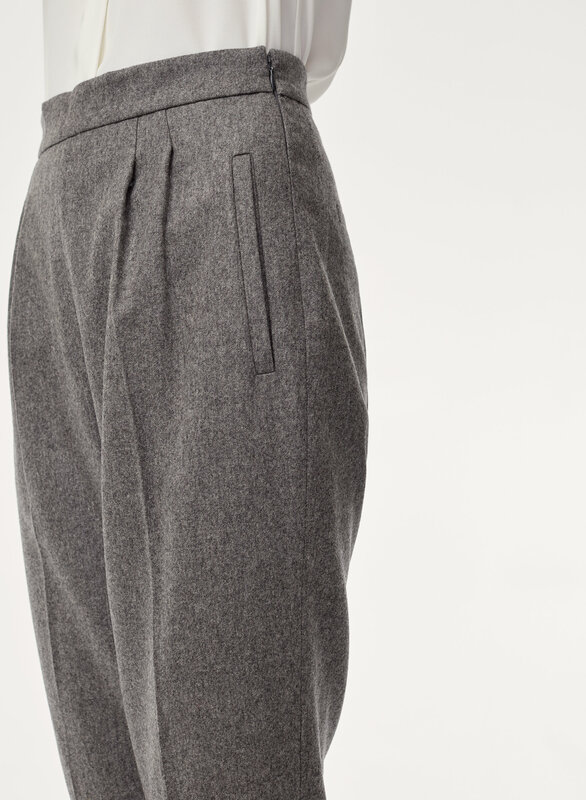 Its clean lines and soft pleating are perfectly at home in soft and lightweight Italian wool-cashmere blend fabric. I'm usually somewhere between a size 8-10 for pants. I wear a 10 in the Jallade Pant so tried the size 10 for these and they fit great. Very professional looking, not too tight and the high rise is perfect. These pants fit well, and the lining is a nice detail. 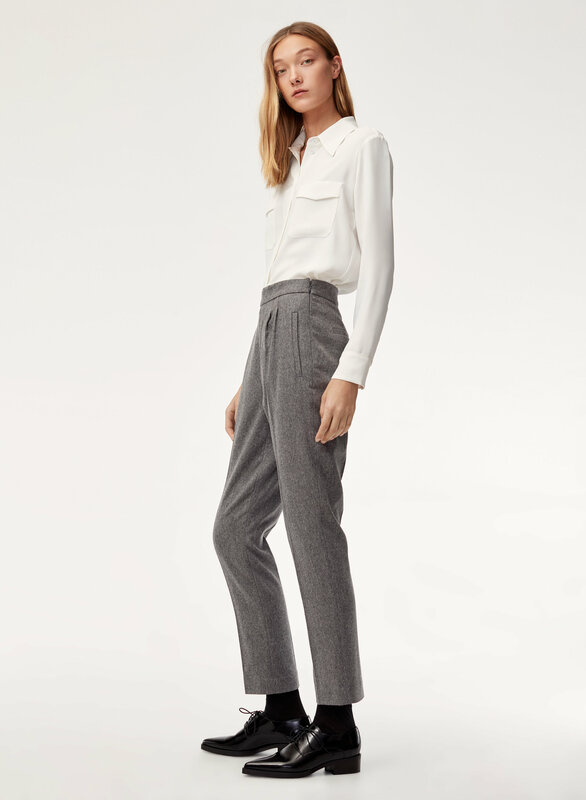 I was looking for a longer pair of pants for the winter and was having a hard time finding a pair because most pants these days are cropped. 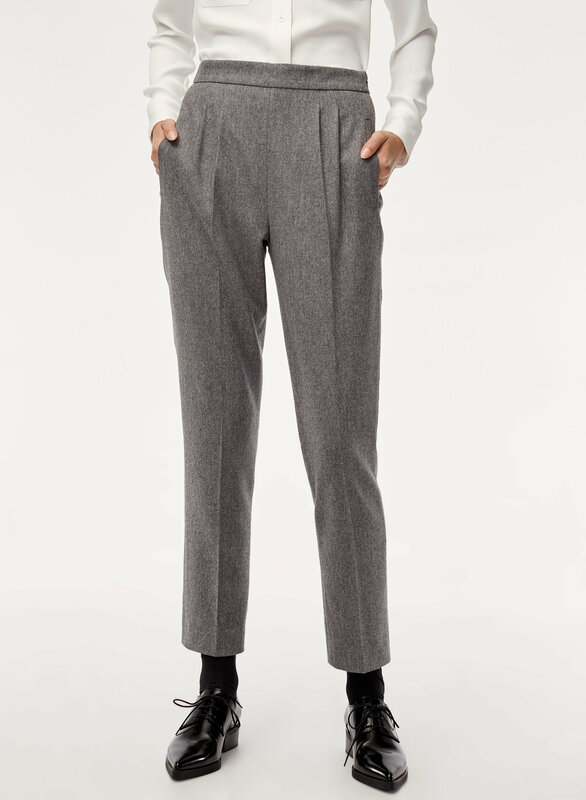 These hit past my ankles (even though the description says they are ankle length), so they are a great option for more of a full length.